This multicolored bag comes in a squarish format with all sorts of bright colours enabling it to look all trendy and spunky. 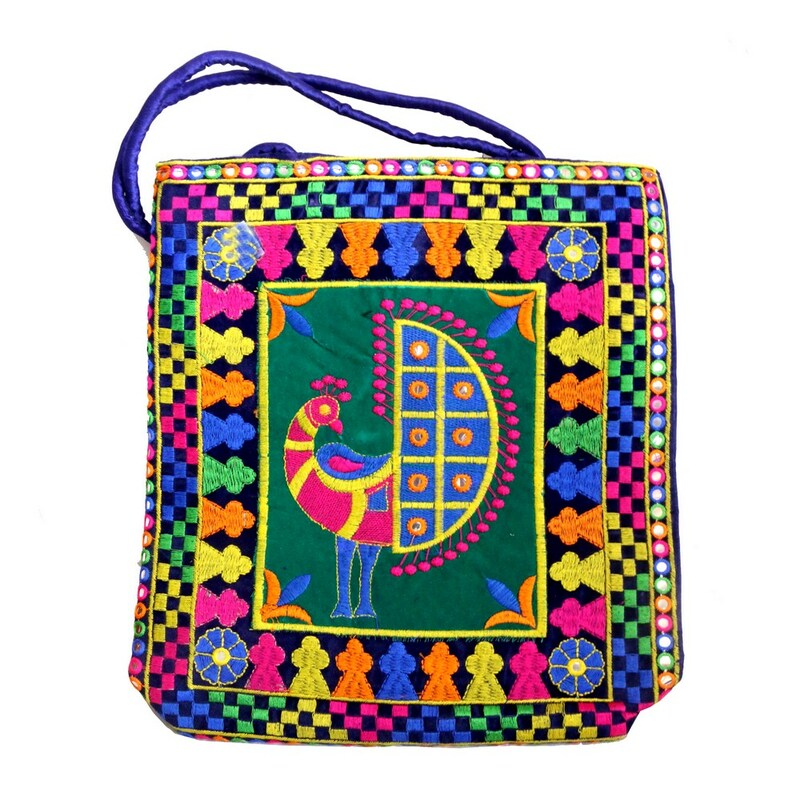 This trendy yet Read More..ethnic indulged handle bag has a peacock element on the front surrounded by simple bordering in illuminating colours, serving well for college goers. Show Less..